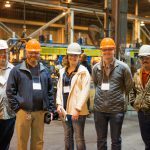 Throughout April, we’re highlighting people, places, and products within our Industrial Products segment. 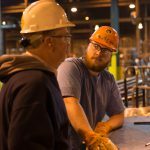 Today we’re pleased to spotlight Merit Steel, part of L&P’s drawn wire division in Kouts, Indiana. 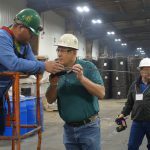 Large machines steadily churn out spools of drawn wire at Merit Steel Company. 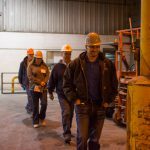 Over 100 employees work together to ensure its production runs smoothly. The majority of the wire is then shipped to other L&P facilities to be transformed into bedding and furniture components. “Everyone here is willing to lend a helping hand. I don’t think anyone is just looking out for themselves. 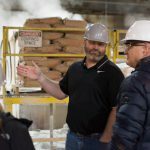 It’s pretty evident in day-to-day operations,” says Jon Moneta, Continuous Improvement Coordinator at Merit. One of Jon’s priorities is ensuring the safety of his teams. That responsibility became easier with a recent upgrade to one of their wire drawing machines. Merit Steel’s new Frigerio wire drawing machine. An older wire drawing machine, installed in 1979 when Nachman Corporation owned the mill. This type of machine was ultimately replaced by the new Frigerio machine. Our Doors Summer Intern Program began in 2013 and was designed to provide a structured, robust intern experience for L&P interns. Since hosting just 6 interns in its inaugural year, the program grew to 29 participants in 2018! Students, listen up. 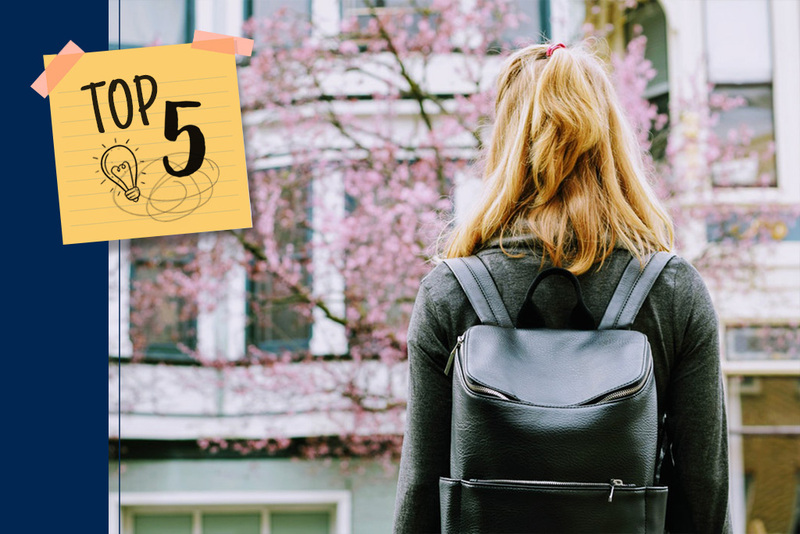 We’re gearing up for this summer’s program, and today, Madison Fehring and Eliysha Mircetic (who coordinate Doors) are sharing their Top 5 reasons why an internship should be part of your college plan. You’ll gain relevant experience. If you’re serious about getting a foothold in your field, find on-the-job work that is relevant to your studies. There are good takeaways from any summer job, but an internship will get you one step closer to starting your career. You’ll get your foot in the door. Once you have an internship, be open to any opportunities within the company. Internships give you an inside scoop on what life within a company is like and what it takes to grow within that company. You can test the waters. You’ve had late nights, early mornings, and a lot of caffeine during your academic life. Now you’re ready to take on a career. The last thing you want to happen is to land your dream job and find out you don’t like it. Try it out for a summer to be sure it’s a good fit. We recommend applying early (even after your freshman year) or seeking a job shadowing experience to help you decide where you want to go. You’ll get advice. The people you’ll work with have likely been in your shoes. They’ll have great advice about how to get you where you’d like to be. During your internship, be open about your dream job, or the elements you want to have in your ideal work environment. You’ll (hopefully) find your tribe. In Doors, we have an entire community of interns. The program features development and social activities to help you build connections with others in your stage of life. You won’t just gain experience – you’ll gain friends! 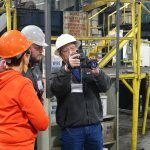 Throughout April, we’re highlighting people, places, and products within our Industrial Products segment. Meet James Dixon. 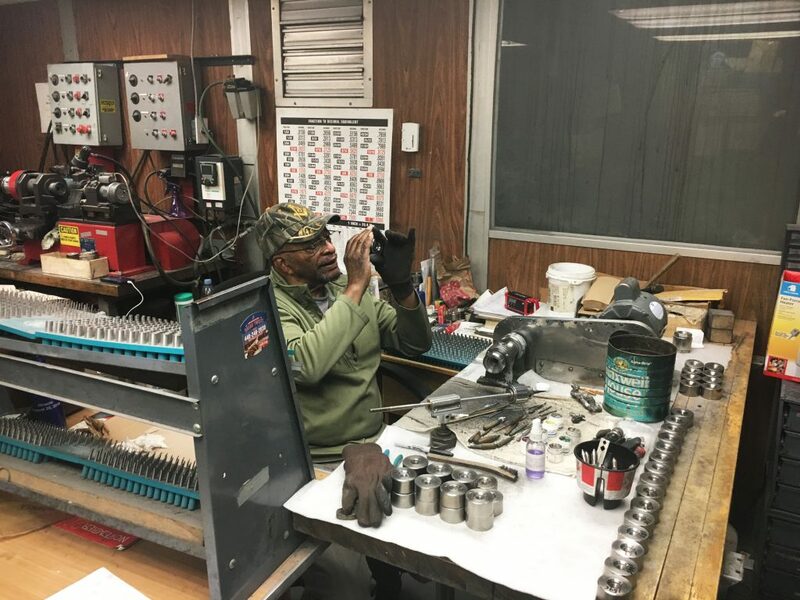 He started his career with Solon Specialty Wire in 1967. 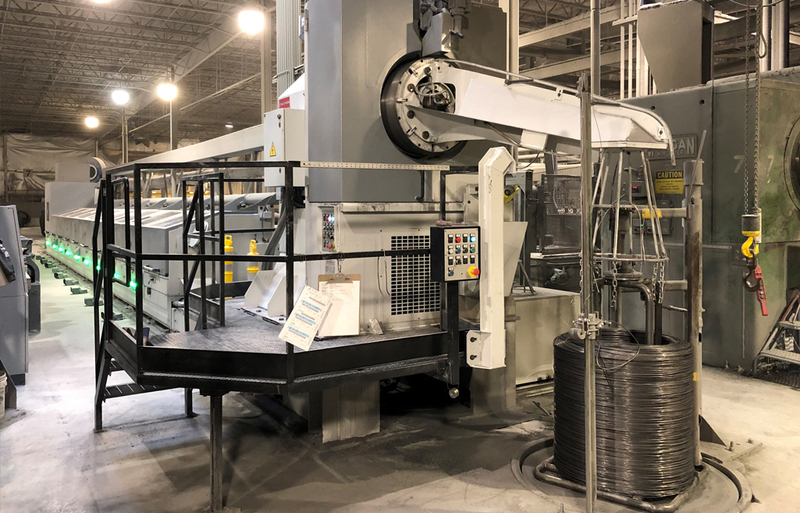 Solon Specialty Wire, located in Solon, Ohio, produces round specialty wires and flat-shaped, non-ferrous wires for the construction, telecommunication, automotive, food packaging, and medical industries. 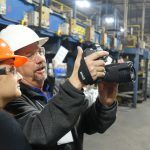 Since 2009, Solon has made environmental sustainability a priority, focusing on many projects such as reducing packaging materials and scrap steel, as well as reducing transportation costs. Here’s a peek at our morning offsite! Alissa Owsley, Director of L&D, interviewed Mitch Dolloff, COO, to share his thoughts on leading strong teams as part of our Emerging Leader Academy. Why the football stadium, you ask? Well, we totally ran with the “strong teams” theme! Big thanks to our Marketing + Creative videography crew for always executing on our crazy ideas. Our Drawn Wire group supplies high-quality wire and wire products to customers around the world. 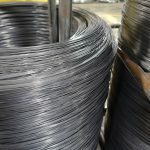 We supply annealed and galvanized wire to various industries (think appliance, construction, automotive, furniture, and bedding, for example). Quality is important to us. 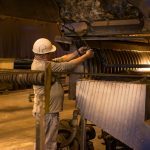 Whether it originates from our steel mill or from one of our trusted suppliers, wire is held to the same stringent requirements to assure maximum reliability and consistency. 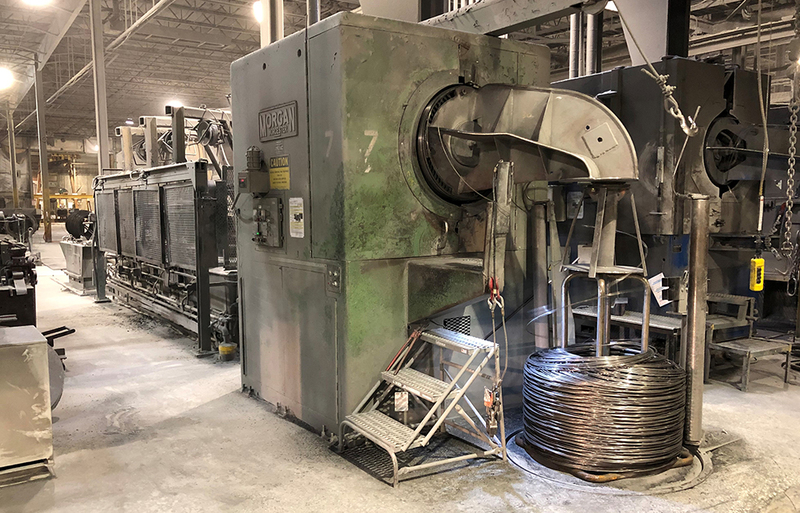 Our annealed wire goes through an in-process annealing that heat-treats wire to restore ductility, making it easier to work with. 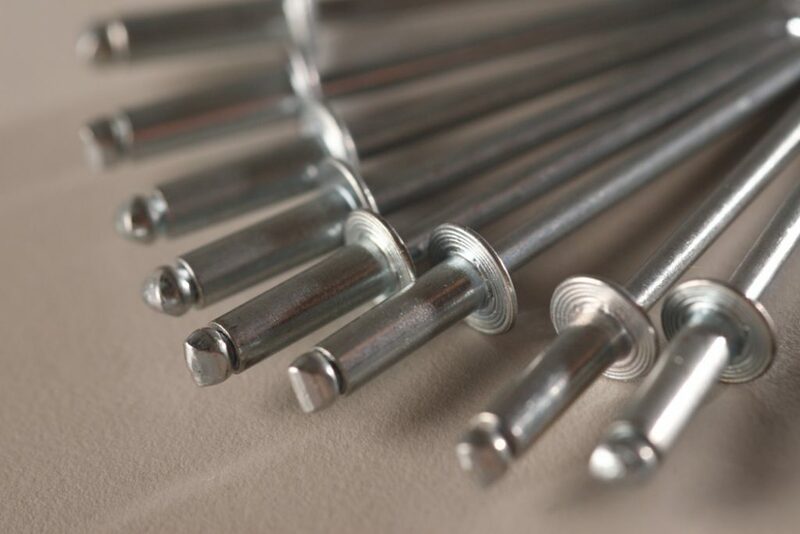 Our galvanized wire is available in both high-carbon and low-carbon options. 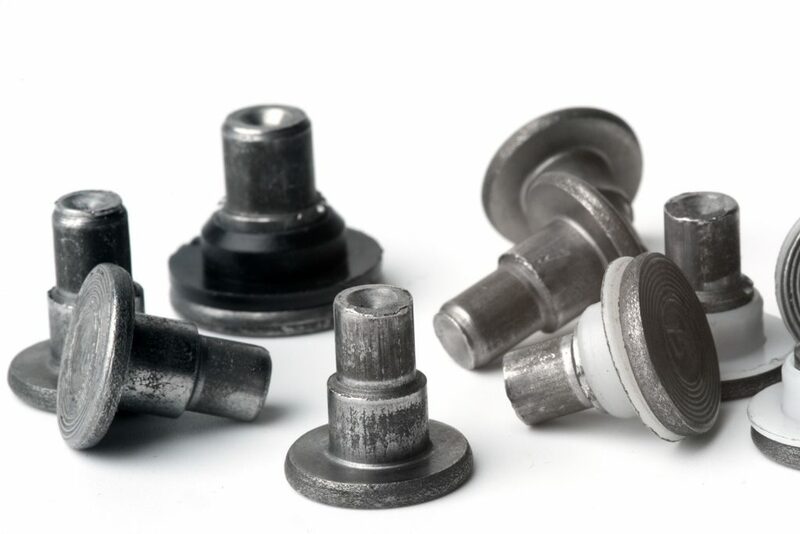 This process keeps wire protected against scratches, rusting, and corrosion. 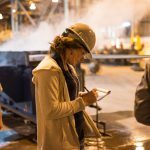 Throughout April, we’re highlighting people, places, and products within our Industrial Products segment. Today we’re pleased to spotlight Adcom Wire Company, part of L&P’s drawn wire division. Employees at Adcom Wire Company in Jacksonville, Florida, produce massive spools of drawn steel wire. It’s ultimately used to make products like paint can handles, bailing wire for recycling compactors, and coiled bedsprings. While the processes to produce that wire rarely change, employees still look for ways to innovate. 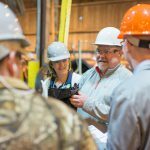 It often involves developing solutions to improve safety practices and drive sustainability. They’re constantly working to expand their recycling program and reduce energy consumption. They’ve also made drastic improvements in safety compliance. 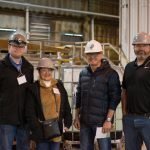 Brandon Killian (left) at a recent wire mill energy event. Thanks for visiting us, Carthage High School students! We certainly enjoyed our morning with you. We toured the Corporate campus, learned from presentations by several of our employees, and ate large quantities of pizza. Win-win-win. Hi, hey, and hello to all the jobseekers out there. You’re probably deep in the throes of refining your resume, so let us help! Joe Malin, Talent Advisor in Corporate Human Resources, spends his workdays helping L&P find the best and brightest, so he reviews resumes constantly. 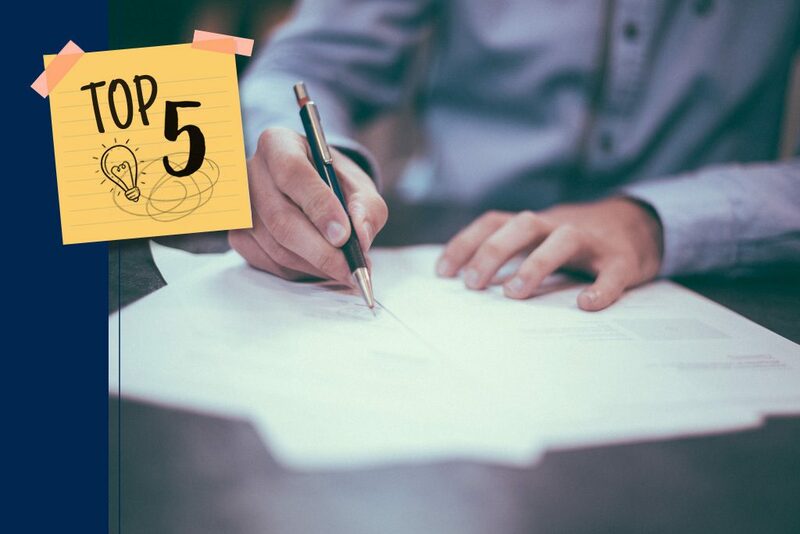 Today, he shares his Top 5 Tips to help make your resume shine. Use different versions of your resume, depending on the position. If you’re applying for multiple positions, tailor your resume to speak to each one. If a position requires someone who can meet urgent deadlines, highlight how you’ve previously met deadlines within your resume. It should go without saying, but be honest about your experiences. Introduce yourself with authority. Capture the attention of a recruiter by stating your goals and your skills with confidence. A simple summary statement about who you are and what you’re good at can set you apart from others. Remember, be authentic and don’t over-embellish. Check for typos and errors. This is simple, yet you’d be surprised how many times errors sneak their way into final drafts of resumes. Unfortunately, failing to proofread your work can discredit you right away. Think about the visual appeal of your resume. Add simple designed elements or pops of color. (But don’t overdo it.) If you’re bored with how your resume looks, imagine the feelings of a recruiter who looks at 50 resumes a day! Follow the ‘quality over quantity’ method. Highlight the most impressive stuff you’ve done. We probably don’t need to know every single responsibility from every single job. And a quick bonus tip! Please, we’re begging you, don’t include mirror selfies on your resume. We’ve actually seen ‘em, and they make lasting impressions – but not in a good way. We recently began a very exciting partnership with the U.S. Department of Energy (DOE) called the Better Buildings, Better Plants Program. 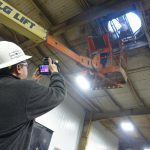 This voluntary partnership initiative will help us drive significant energy efficiency improvements, and we’re among 195 other leading manufacturers and public utilities partnering with DOE. 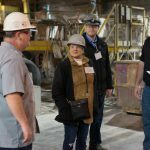 As part of the partnership, a large team of L&P employees recently participated in an Energy Treasure Hunt at the Carthage Wire Mill. They divided up into four smaller teams and then focused their attention on energy use, such as building lighting and equipment efficiency. 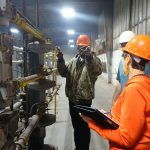 They walked around the plant looking for areas of improvement and ultimately found 33 unique opportunities (14 of significant status) to conserve or reduce energy.